Entries tagged with “ecumenical council”. We continue to speak [the words of the Nicean Creed] because they continue to be true. What the First Council in Nicea confessed on the basis of Scripture, Christians today continue to confess: Jesus is God. He was not created. He has always existed. And because He is God, He has power to save sinners like you and me. 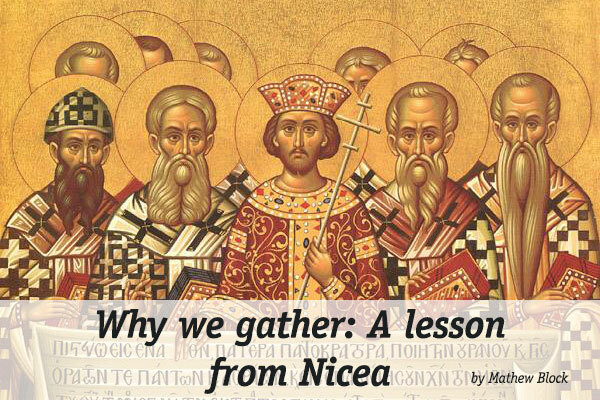 It might be ancient history, but the confessions made at Nicea are forever relevant to our faith today. Of course, the council in Nicea in 325 was not the first council in history. In fact, Christians had long been in the habit of gathering together to discuss issues of concern, to pray, and to make plans for the future. Even the Apostles hashed out issues in this way, discussing whether Gentile believers needed to follow the same rules (on circumcision and dietary laws) that the Jews did (see the story of the Jerusalem Council in Acts 15). In some ways, this might sound a little mundane. Surely God could guide the Church in a more dramatic fashion. Couldn’t we hold face to face discussions with Him like Moses did? Couldn’t He send signs and wonders to confirm what direction we should take? No doubt God could act in such a way, but the fact is He frequently chooses simpler ways to communicate with His people. 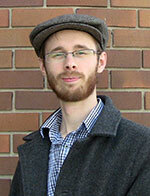 He gives us a book—common paper, common ink—and yet infuses His own Word into it. He speaks over common water, pours it over our heads, and somehow claims us as His children. He takes bread and wine, mixes it with His words of forgiveness, and uses it to give us His own body and blood. He gives us normal run-of-the-mill pastors to speak God’s very own words of mercy to us on a regular basis. The above is a selection from my recent column “Why we gather: A lesson from Nicea.” Check it out over at The Canadian Lutheran. Captain Thin is powered by	WordPress 5.0.4 and delivered to you in 0.353 seconds using 33 queries.